Learn, share, and network with the community. Your community. Do you or a loved one have challenges around clipping fingernails? Stop by booth #412, hosted by Cadan Assistive Technology, and experience first hand (pun intended) why users now smile while clipping their nails. 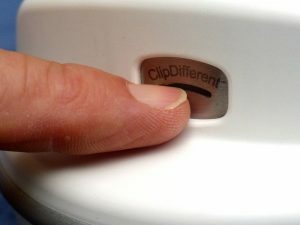 ClipDifferent’s innovation gives independence to individuals for whom the traditional clipper doesn’t work. Safe. Easy. Gentle. No mess nail care. Experience the latest assistive technology tools and services from leading AT providers in the ATIA 2019 Exhibit Hall. Visit with all these AT product and service providers in one convenient location. It’s that easy. Every time!